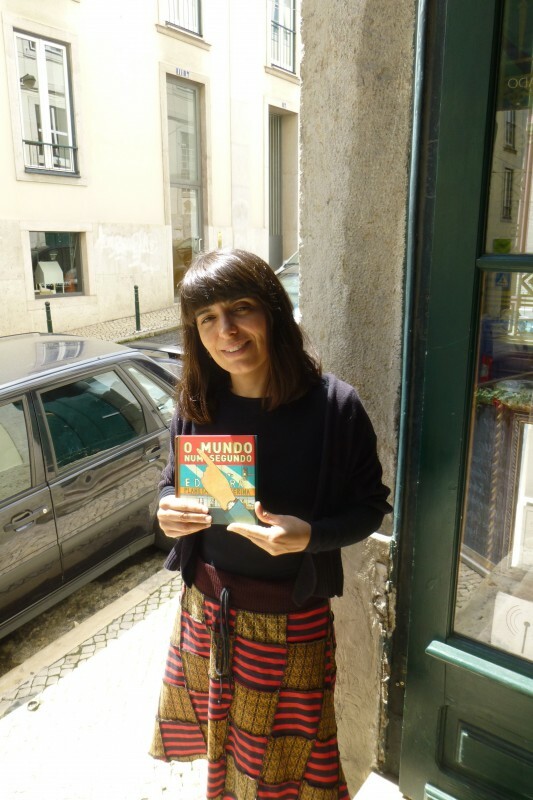 Isabel Minhós Martins, featured on #kidlitwomen. 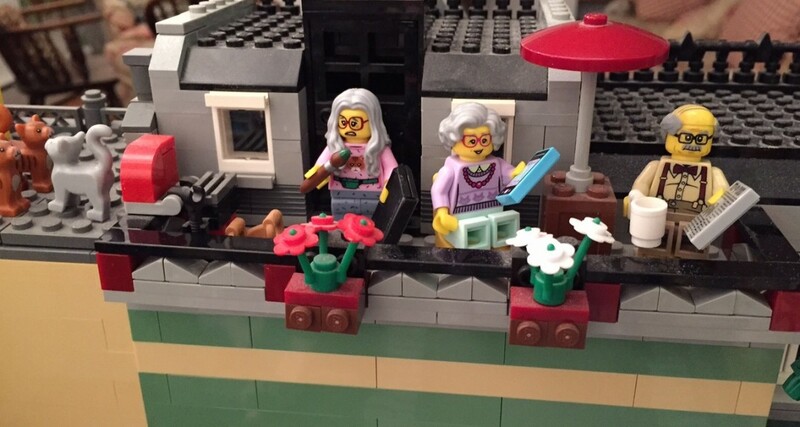 I contributed to a post on International Women’s Day, March 8, on women in translation and the women writers and illustrators we have translated. 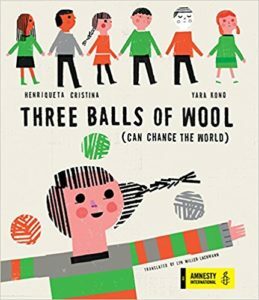 My paragraph featured Isabel Minhós Martins (The World in a Second) and Henriqueta Cristina (Three Balls of Wool), her camp counselor who told stories that would later become the picture book that Planeta Tangerina, the press Isabel co-founded, published in 2015. While I’m finally returning to self-publishing after 30 years and nine traditionally published books, I’m in a way hedging my bets. My first indie book, tentatively scheduled for August of this year, is Europe’s Gateway: The RogueWriter Guide to Portugal and Beyond. It’s an e-book that compiles my most popular blog posts. In a sense, all of you, dear readers, have vetted the content and the writing. My second, due out in winter 2019, is a new paperback and e-book edition of Rogue. Penguin Random House finally returned most of my rights to the book — we’re still working on audio and translation rights — so I’ll be able to redesign the cover and interior, correct typos, and make other small changes but keep the rest as is. Rogue has already gone through an extensive editing process and has proven to be a popular read among the middle school set, both boys and girls. In fact, one can still buy the e-book edition from Penguin until I ask for it to be taken down. The challenge comes, however, if and when I choose to publish original work that hasn’t first appeared as a blog post or a published book. The three completed YA novels that I wrote since Rogue (while Surviving Santiago was published later than Rogue, I wrote it earlier) are sitting on my hard drive in various stages of readiness for publication. One has been through the developmental editing process, the “big picture” issues at the core of the story, and it has also had a sensitivity read. Another has had two beta readers and a sensitivity reader only, and I’m currently working on the second complete draft. I’ve pretty much given up on the third, the one I wrote between Rogue and these two. In addition to professional-level cover design and interior formatting, self-published books need professional-level editing. 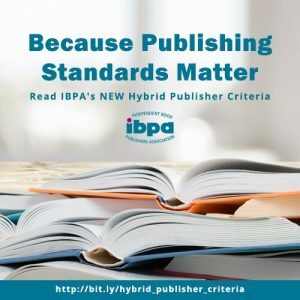 The lack of these is a principal reason why the stigma continues and why every self-published book represents not only itself but an entire publishing category. It’s also the biggest obstacle for me in deciding to self-publish my two most recent books rather than submitting to traditional publishers and waiting for editors to read them. How does one know that an expensive edit is, in fact, at a professional level? This is, in fact, one of the appeals of hybrid publishing and the IBPA criteria that require publishers to vet submissions and offer industry standard editing and proofreading. And while the criteria aren’t perfect and this type of publishing tends to be expensive, the books do appear professionally edited. The go-it-alone publisher looking to save money needs to find the same quality of editing — and to be ready to follow the professional editor’s advice. A major concern with hiring a professional editor is the level of that editor’s commitment to the project. When a writer submits to a traditional publisher, the editor has to “love” the book or have “passion” for the project in order to spend the amount of time it will take to turn the manuscript into a publishable book. Many authors express shock at their first editorial letter and all the things the editor wants them to change, thinking, “if they want me to do all this, why did they take the book in the first place?” One author I know had to cut the first 80 pages of her YA novel. I had to unkill a major character and rewrite the last third of the book to incorporate that change. Will a professional editor for a self-published project, even one paid a lot of money, put that kind of time and direction into it? After all, the independent editor may not take on the project out of love or passion, but for the money. Even if they have qualms about the book, they may not express those concerns to the author, worried that the author is (as many self-published authors are) too attached to their story, characters, and verbiage. After all, the indie author has chosen not to adapt to publishing as it is but, convinced of the book’s right to exist, is committed to forging a lonesome path forward. Given those circumstances, an editor seeking work may simply decide to go along to get along. The indie author who wants a professional-level book must be willing to listen to the editor for both developmental and line editing (editing having to do with individual scenes and paragraphs) — and make that clear to the editor — while not losing sight of the overall vision. Typically, traditional publishers use the same editor for both developmental and line editing, usually the one who expressed the initial passion for the project, while hiring a freelancer for copyediting, which is what the self-publishing author should do. So how does one decide who’ll do a good job for the developmental and line editing, where passion for the project is essential but may not necessarily be there? After all, you don’t want just another copyeditor or proofreader. Yes, age discrimination is a thing in the arts. I suggest only hiring an editor who has the same passion for the project that a traditional editor would. It’s easier than one may think. With the consolidation of publishers and their imprints, a number of very capable editors have lost their jobs and are now looking for freelance work. Over the course of decades in the publishing industry — and as one will quickly notice from the number of #kidlitwomen blog posts on the topic, age discrimination is a thing — most editors have had to reject projects they loved but couldn’t get past their bosses or the marketing department. Freed from the constraints of pleasing a superior or turning a profit, those editors may be eager to bring someone else’s labor of love to fruition as if it were their own. A synopsis and sample chapters is a good way of finding out if the editor shares your vision and will care about the project as much as you do. This love, passion, level of commitment, or whatever you want to call it, should take precedence over the cost of the editing if you want a top-quality product and you want to learn and improve your writing in the process. Congrats on getting the rights back and releasing a paperback version of Rogue, Lyn. Sobering thoughts here on traditional publishing. Since I’ve heard of long editorial letters, I’ve also wondered why editors want so much changed in a book they claimed to love when acquiring it. Perhaps they see what we authors don’t see. And perhaps the pub board wanted the changes made too. I’ve also wondered about this, especially since my book that had the least editorial changes, Gringolandia, was the one that had by far the most positive critical reception. I have no way to explain that. Maybe I nailed the novel on the first try (although it was a complete rewrite of a manuscript that went through three versions with a major publisher 20 years earlier), maybe it had a purity of vision that the others didn’t have, maybe I didn’t overthink everything because it was my first YA, I hadn’t gone through a MFA program, and I really didn’t know what the heck I was doing. Maybe I should write a blog post and ask others what they think may be the reason.